Many photographers and designers use Photoshop to print to an Epson printer instead of using a RIP. Actually, Photoshop is the pass through to the Epson driver, where it is advisable to make a custom profile to produce an accurate print out when you are either using special paper or third party ink. This article describes how to make a profile no matter which version of Photoshop you have. 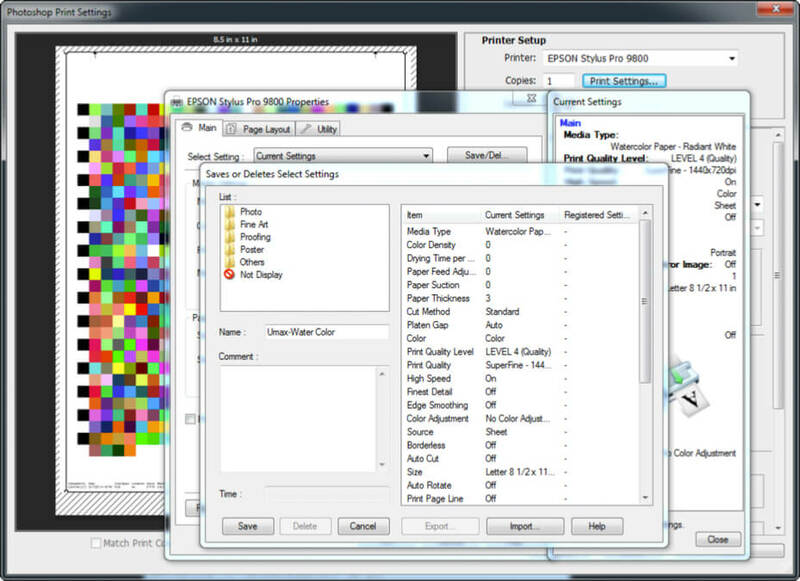 Making an RGB profile corrects the difference between the image file and the selected output. 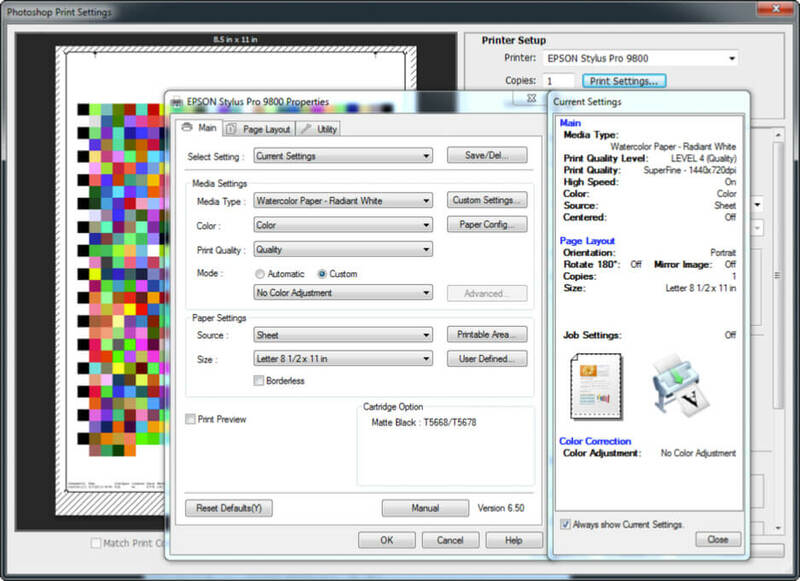 Making a profile requires printing a set of color patches that represent the available color spectrum. 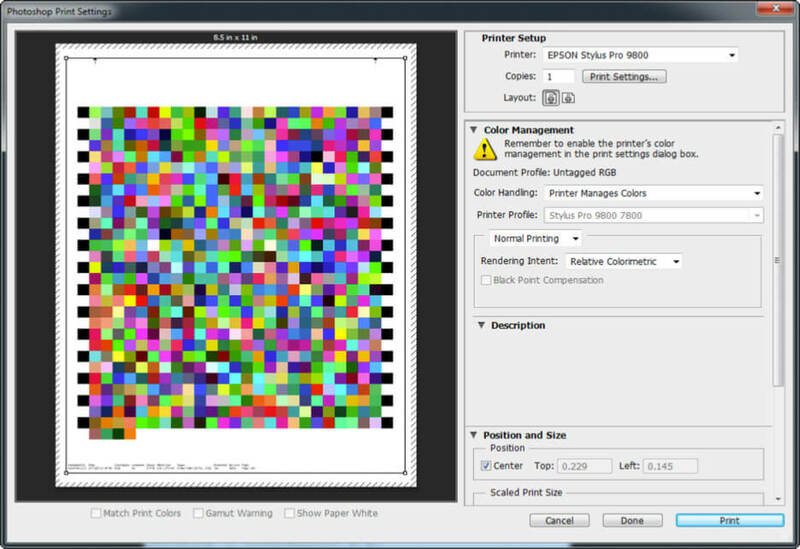 The patches are predefined by the color management program. The patches must not have a profile attached to them. The patches must be printed with no color adjust so that they will be printed in their raw state. 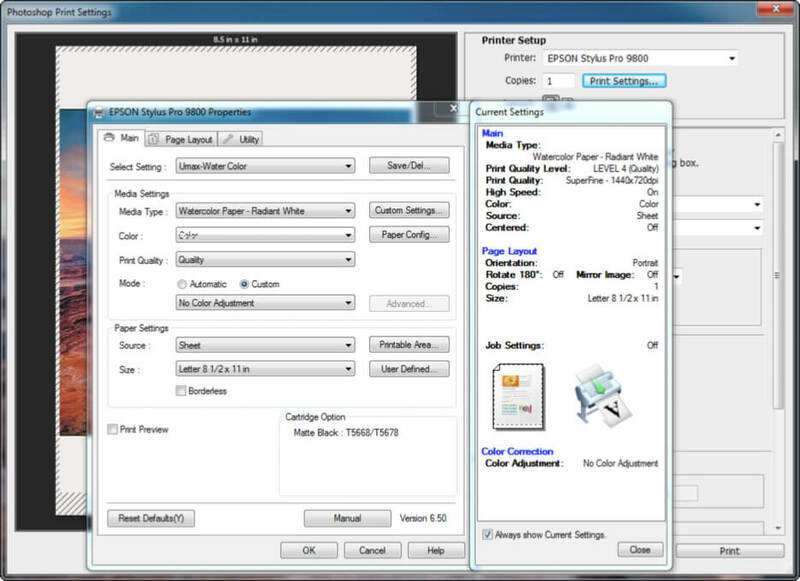 What you must do is set up the print driver, in this case the Epson driver, to the paper that most closely matches your paper and choose the resolution that you want to print at. After making the selections, it is best to save the setup with a name that relates to the media and ink. The patches are printed and read into the color management software to create the profile. The profile is installed in Windows color folder and in Mac in the ColorSync folder where it will show up in Photoshop. We’ll use this set of patches to profile our printer. Unzip the file, open it in Photoshop, and proceed to the print dialog. First, under color management, we want to make sure the printer is managing the colors. Next, go to the printer settings. Here you want to select the media you’ll be printing on. Also update the color mode to “Custom”, and select “No Color Adjustment”. Also be sure to save the configuration you’ve just created. Give it a name such as Umax Water Color so that you can come back to it with the color profile we send you. Once we email you your new color profile, you’ll install it with the other profiles on your computer. On a PC, simply right-click it and select “Install”. The profile will then be available in Photoshop. 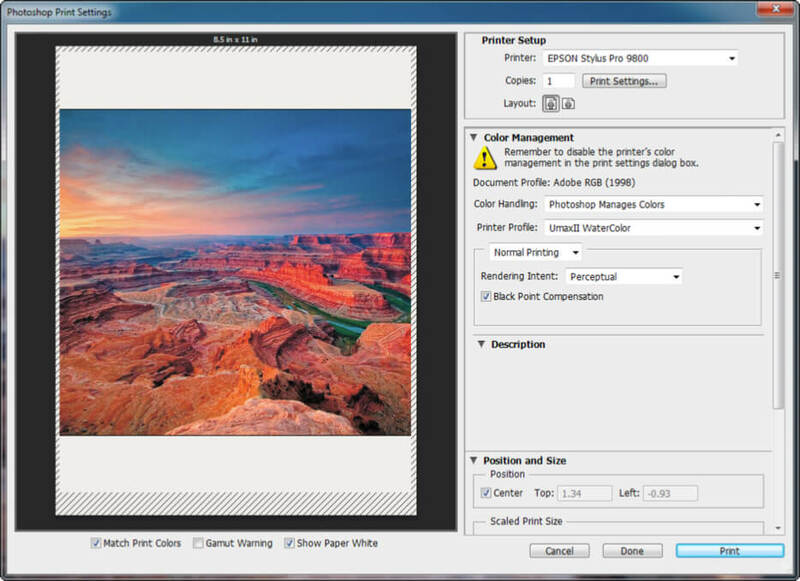 Open the print dialog again, and now select “Photoshop Manages Colors” for color handling. Select the newly installed profile from “Printer Profile”. Next open “Print Settings” and choose the setting you made for this profile. Be sure to save this setting again. It should now be used for all subsequent prints on this media. The only adjustment you’ll have to make is paper size and roll or sheet!